You can now shop at SM using your Globe and TM points. 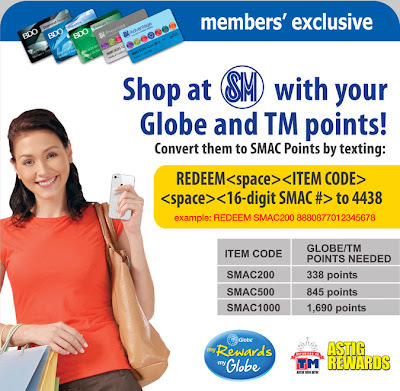 All you need to do is convert your SMAC points by texting information found at the poster below. Remember, this is exclusive only to SMAC Members.